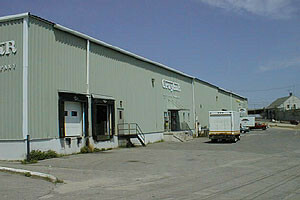 One-story metal high-bay building ideal for warehouse, distribution, light industrial, with small office area. On-site parking for 30 cars. Near Casco Bay bridge, on western edge of Portland's waterfront access road, on the perimeter of downtown Portland.